The 2018 assessments will be available on our Parcel Search on Tuesday, November 27th, 2018. The 2018 assessments include the Supervisor of Assessments equalization factor of 1.0392. This assessment is subject to future County and State equalization. 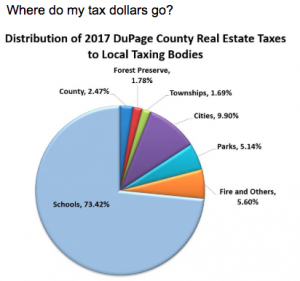 After publication a property owner has 30 days to file an appeal with the DuPage County Board of Review. Upon reviewing your assessment, if you believe you are over assessed based on comparable sales or the assessments of other houses in your neighborhood, we encourage you to first call our office to discuss your assessment with a Deputy Assessor before filing an appeal. The deadline for filing assessment complaints is December 31st, 2018; mailed appeals must be post-marked on or before the deadline. View the Assessment Status on the SOA’s website.